A six-week business trip to Singapore. Sounds fantastic right? That's certainly what Michelle Daly thought when she was asked to accompany the Group Sales Director! A six-week business trip to Singapore. Sounds fantastic right? That’s certainly what Michelle Daly, IPIN’s Sales Progression Administrator thought when asked to accompany the Group Sales Director on a trip to our regional Asian office. Ever-dedicated, Michelle was expecting a busy time: “Our objective was the launch of a new multi-currency investment opportunity developed specifically for investors outside of the UK”. As one of the IPIN team who deals personally with practically all investing Members, Michelle understands more than most the needs and wants of our clients. She quickly saw plenty of opportunities for strengthening the communication channels and customer service activities between 2 offices located on opposite sides of the globe. “As a global organisation, it is imperative for us to ensure a continuity of brand values and to apply the most effective ways to communicate with our valued Members. This trip was essential to ‘fine-tune’ business practice which forms one of the most important corridors to the success of IPIN Global” she commented. Mike O’Riordan was equally occupied, overseeing the launch of our new Secure Exit StrategyTM project and presenting to hundreds of our Members from South East Asia in regular seminars held at the office. 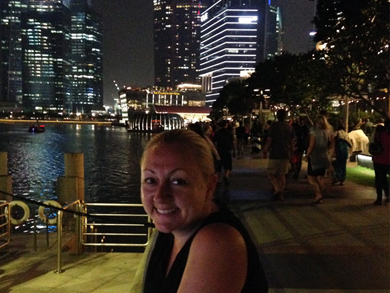 As a consequence, there proved very little time for relaxing and taking in the sights of Singapore across the whole 6 weeks. 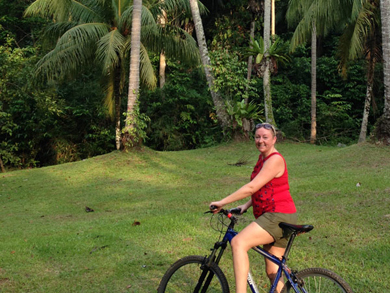 However, a lovely Sunday bike ride on Pulau Ubin was enjoyed! The effects seem to have already taken root: Investors have more than doubled, Market Share in Singapore has increased and our popularity amongst Asian Investors has escalated. All in all, very positive signs and proof of a trip well spent!